Free climbers Kevin Jorgeson and Tommy Caldwell have reached El Capitan peak in Yosemite National Park after spending two weeks scaling the sheer face of the 3,000ft rock. Kevin Jorgeson, 30, and Tommy Caldwell, 36, are the first climbers to do so without aids, except for harnesses and ropes to prevent deadly falls. They began their historic half-mile ascent on December 27. During the climb Kevin Jorgeson and Tommy Caldwell slept in tents suspended from the mountain face. The men did not give media interviews on completion of their challenge, but are expected to discuss the climb later. Eric Jorgeson, Kevin Jorgeson’s father, told local media his son had always been a climber and watching him fulfill a long-time dream had made him proud. “He climbed everything he could think of. It made us nervous early on as parents, but we got used to it,” he said. 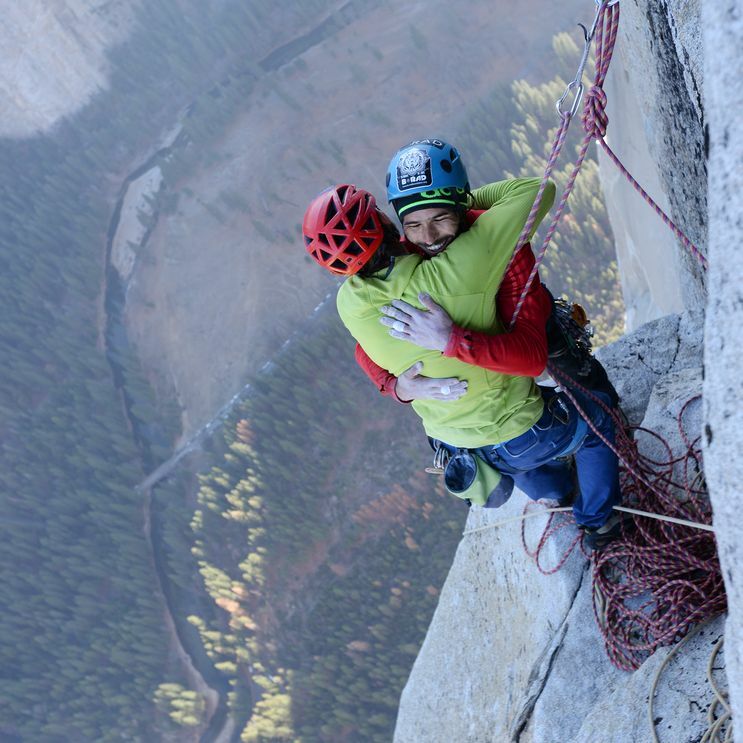 Eric Jorgeson and his son had begun climbing the other routes to El Capitan’s peak in California when Kevin was 15, making it a birthday tradition each year. “I feel like the most proud person in the world right now,” Tommy Caldwell’s sister, Sandy Van Nieuwenhuyzen, said. Kevin Jorgeson and Tommy Caldwell suffered bruising falls, when their grip slipped, and they would bounce off the mountain face. “As disappointing as this is, I’m learning new levels of patience, perseverance and desire,” Kevin Jorgeson had posted online at one point.